And I know you’re thinking well we know he is… but I really was thinking and pondering about it for a while… like he is good, it’s his nature, it’s who he is.. he can’t but be good, even if he tries, he can’t be anything but good. 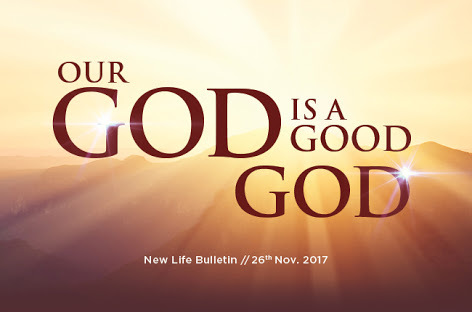 If we look up the word good in the dictionary, you’ll find phrases like; Excellent, of high quality, righteous, fit, genuine, sound, reliable, dependable, favourable, sufficient… no matter the context the word “good” is used in its always in the positive. Always for good (pun intended). 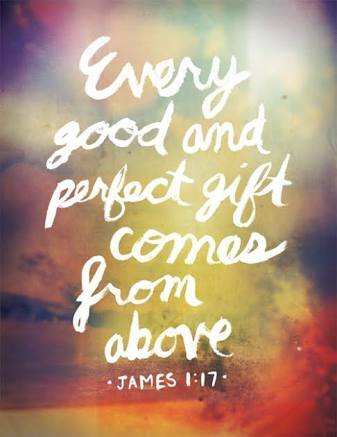 That’s why I know without a reasonable doubt that all God wants for me is good, all he desires for me is good. All he wants to give me is good. 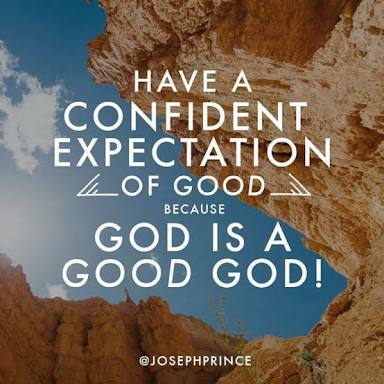 Oh and I always expect good things from him.. This one eh! 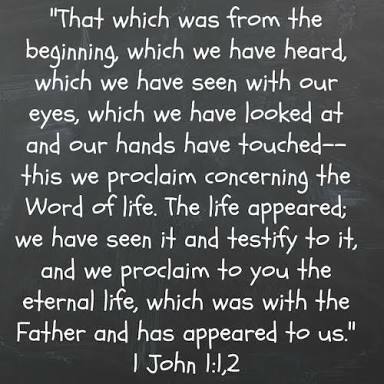 I can’t be convinced otherwise, I have seen the very hand of God in my life, I have experienced his goodness.. I have heard of all his wondrous works! Is it the time I was in so much pain, and I was rushed to the hospital and I thought I was going to die, or the times he saved me from accidents that could have happened. I am a living testimony of a good God! I don’t need anyone to tell me.. 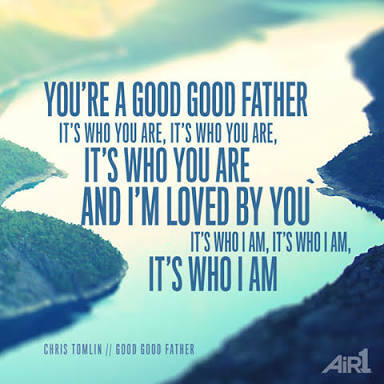 I know he’s a good, good father… he’s kept me all through this year. 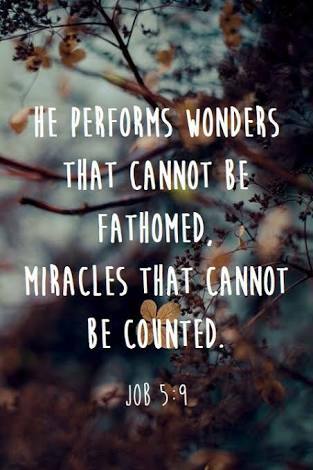 And he’s not just good, he’s also a miraculous God! 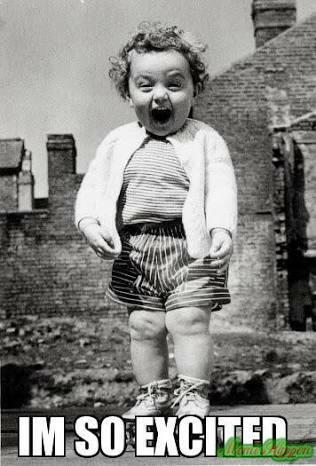 There’s something precious and exciting about this season and I’m so expectant. I believe God is about to do something miraculous in someone’s life, he’s about to step into that situation. He’s about to turn things around in your life! In a bottom pot blessing kinda way.. and all you have to do is just believe. Simi’s testimony I’m about to share with you is going to have you believing and knowing that indeed God can do the impossible! Simi’s testimony: God is so faithful, this is my testimony and it’s on behalf of my mum. Middle of this year my mum was diagnosed with a brain tumor, a malignant brain tumor, we did several scans and the doctors did a screen shot of her brain and she was scheduled to have a surgery with a neurosurgeon here in Nigeria. It was a series running through the month. I just kept getting the messages after every service on my phone and listening to them continuously, to get more conscious of God’s healing power. It wasn’t easy because she’ll come home and show me the result from the hospital and it was always the same. But I just had faith that God would heal her. And she kept confessing positively. So later In the year we scheduled an appointment with a doctor in America, when she got there, the doctors did a scan and they still saw the tumor there, but when she spoke to me over the phone, she said “Even though they keep telling me there’s something in my head, I believe there’s nothing there”. So after a couple of tests, she was referred to a neurosurgeon to have the tumor removed. So she went in for her appointment and the doctor decided to do an MRI to check for the particular location of the tumor. After doing the MRI, the neurosurgeon said he couldn’t find anything. The doctor was literally shocked! Like I have videos of him, and you could see the shock in his eyes, and he was just speechless. And he was like but I have a picture of the tumor but after doing this scan he’s not seeing anything. So just to be sure, he called his colleagues, two other neurosurgeons they both conducted their own scans and they didn’t find anything in my mum’s head. They were just speechless and dumbfounded. They said “We don’t understand how we did a scan found a tumor, took a picture, and using this same machine we can’t find anything there. There’s nothing in your head, just cells and they are normal”. God took away the tumor, it could only have been God. My mum did not go under the knife, they didn’t cut open her head, and she is completely healed! 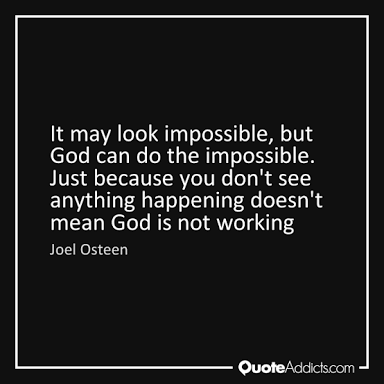 Faith works! And God is just awesome! Words cannot even describe how grateful we are in my family. Look at this God!! There’s a way he used to behave.. he left all of them speechless and dumbfounded. Thats the kind of God that you serve! A doctor’s report canceller, a miracle worker! Is there anything too hard for him to do! People this is that season you’ve been waiting for. You can’t give up hope now, that thing you’ve been believing God for since January, can still happen. You’re still a living miracle. 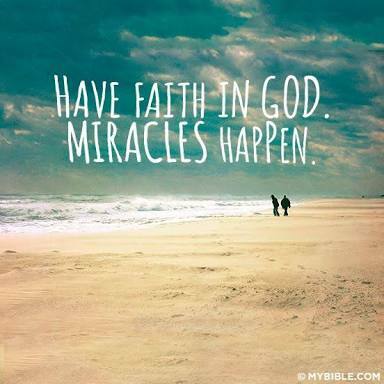 God specialises in last minutes miracles.. And guess what?! Wait for it…. 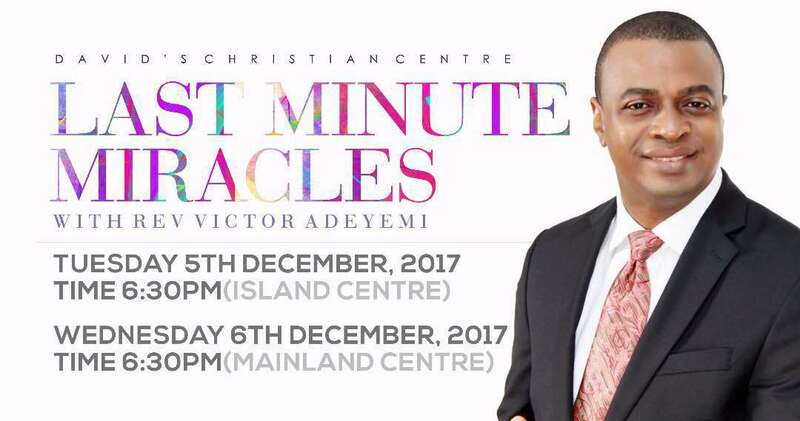 We are having a meeting with Rev Victor Adeyemi today at the Island Centre tagged “Last Minute Miracles”. Can you see how much God just loves you, and he just arranged this specially for you! You can’t miss this guys. Tell everyone you know. Check the picture above for details. Something is about to happen. And I can’t wait to share all of your wonderful testimonies. Don’t forget to send your testimonies to kemi@justusgirlsnaija.com. OK I’m going for real now…. 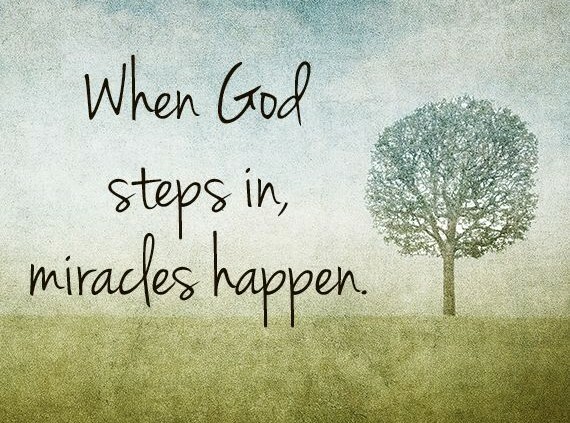 Thank God for miracles that leave us speechless. Thank you Jesus. The God who knows how to make a mockery of men’s wisdom leaving them dumbfounded. I key into a wow!!! testimony in Jesus name Amen. Now, that’s what I’m talking about! An extraordinary God, who does extraordinary things! That’s who He is! He is BIG like that! That’s how He rolls!!! Faithful God!!!! Tuale!!!!!!!!! My Father who Show up and Shows off!!!! This God is too good o!